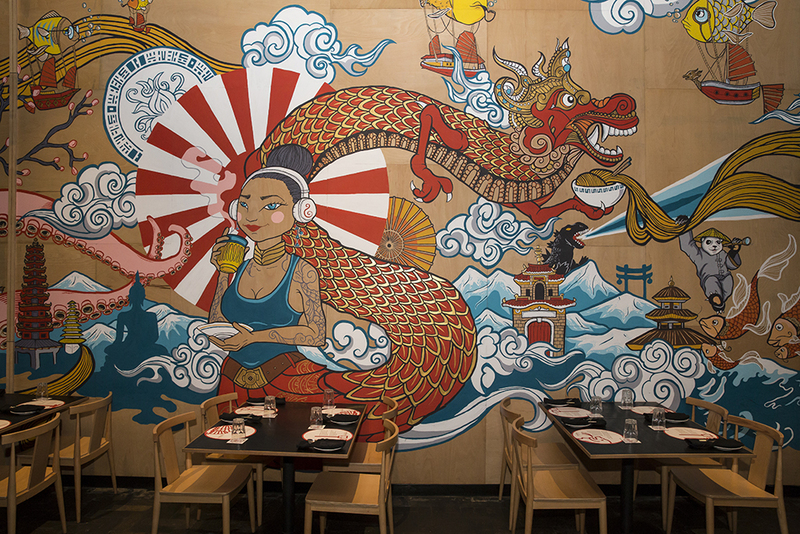 SRIRACHA: A trendy Asian restaurant gets a signature look. We didn’t go the traditional route when designing Sriracha, we’ve worked closely with the branding team to make sure the design is unique and cohesive. 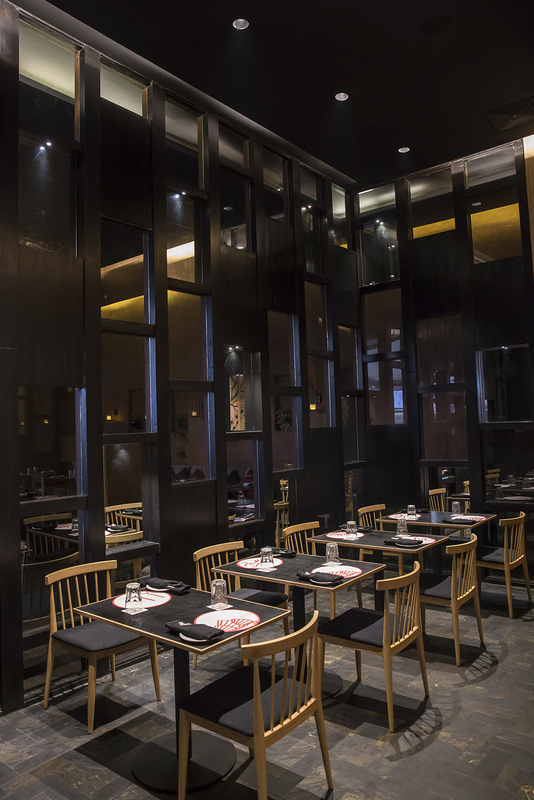 Inspired by contemporary asian design, we’ve used traditional materials and colours in a unique way. Traditional earthenware accessories coloured in a deep red hue from the logo will bring a pop of colour into our contemporary asian pine wood shelves. Our showstopper is the mural we commissioned to wraps around the space. The overall design is minimal and fun!